Fill with special little treats and toys. 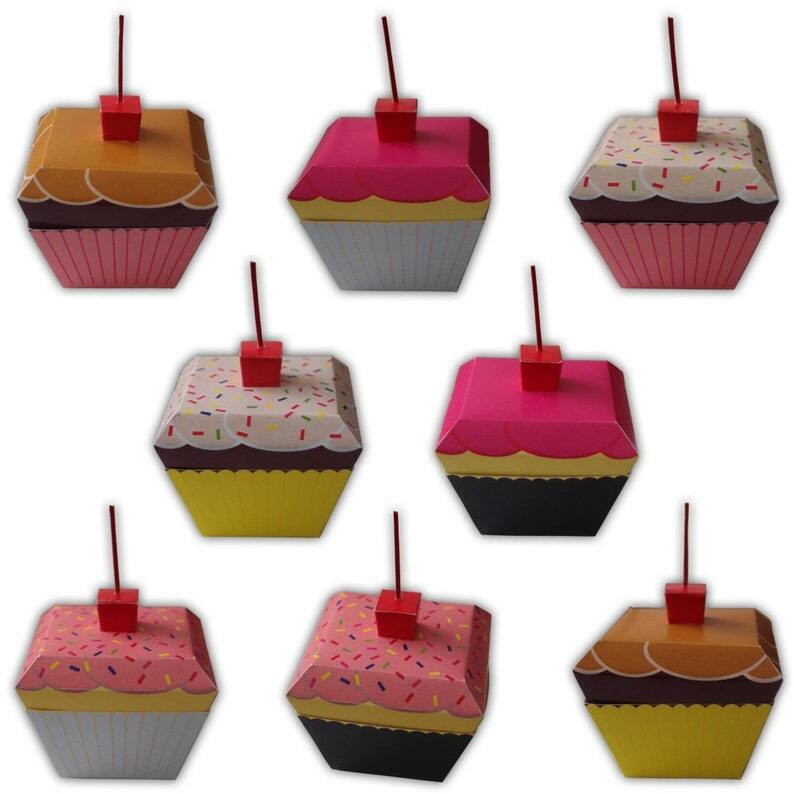 Choose Your Colors: since our digital PDF files can not be modified please select your color choice for the Cupcake Liner and Icing/Cake/Sprinkles when adding the template to your shopping cart. If you have a specific color combination in mind that we don't offer please contact us and we'll gladly try to accommodate your request. Or select OTHER when checking out and leave a note with your color choice for the cupcake liner, icing, cake color, and if you'd like sprinkles or not. Image Colors Shown in second image: off-white cupcake liner, pink icing, yellow cake, with sprinkles (pink/yellow/spr).